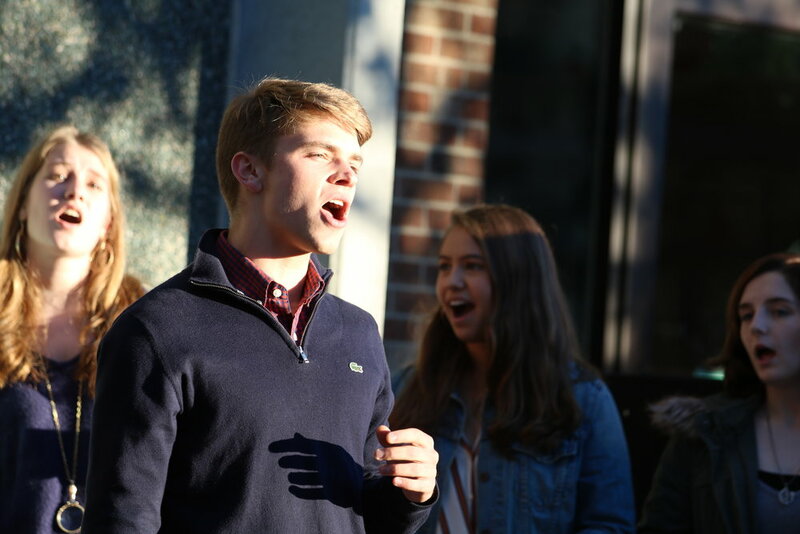 Amidst the crisp fall breeze and the enticing scents of food trucks, 15 voices sang their hearts out at the DA All-School Picnic on Oct. 21. At their first show of the year, Durham Academy’s auditioned a cappella group, XIV Hours, began its second year as a fully student-led a cappella group. The dynamic performance featured the songs “Imagine,” originally by John Lennon, with a solo from junior Finn May, and a medley of Billy Joel songs: “Tell Her About It” sung by Carl May, “She’s Always a Woman” sung by senior and music director Yaakov Huba and the classic “Uptown Girl” sung by senior Jack Anderson. With such a passionate and polished start, it looks to be a promising, pitch-perfect year for XIV Hours.